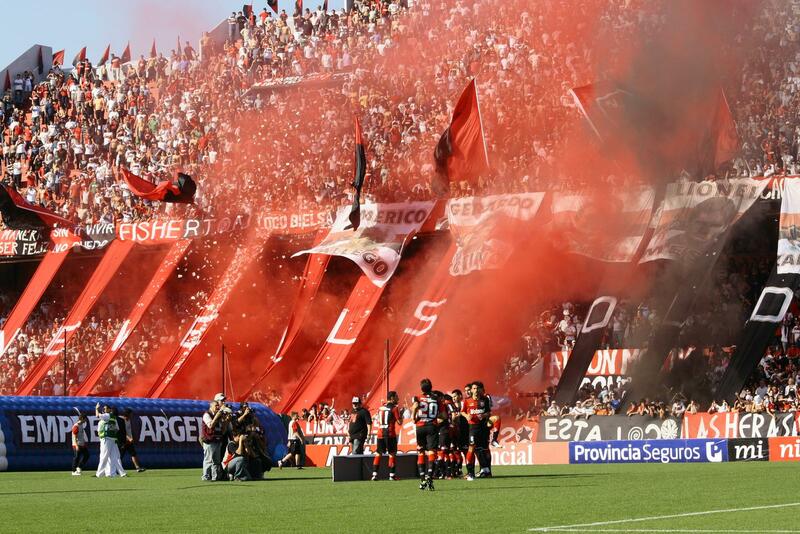 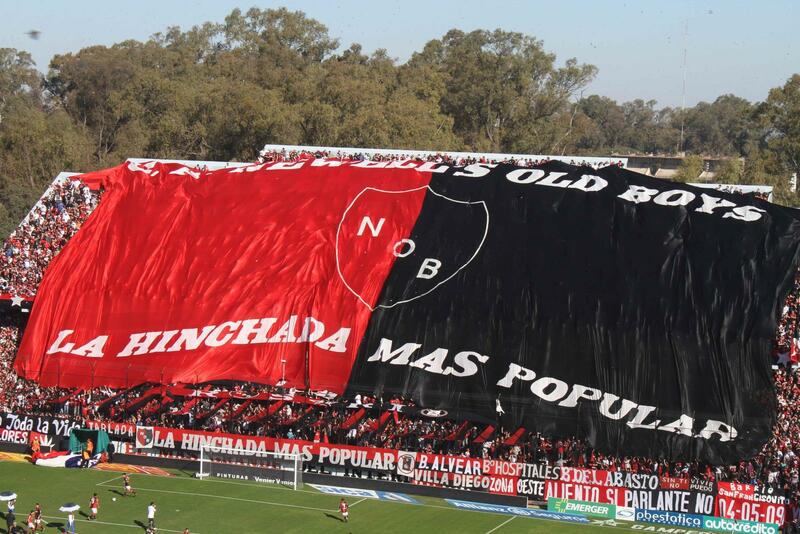 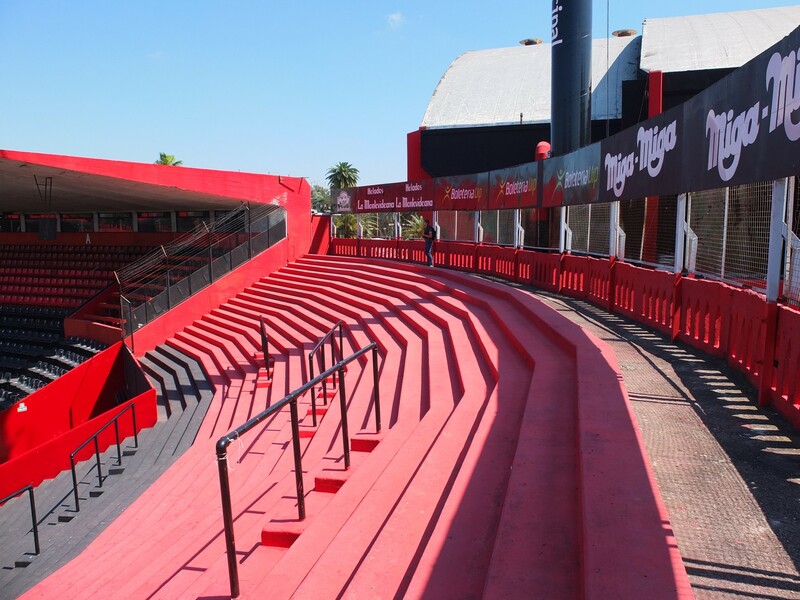 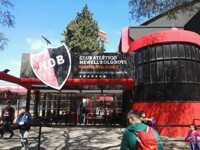 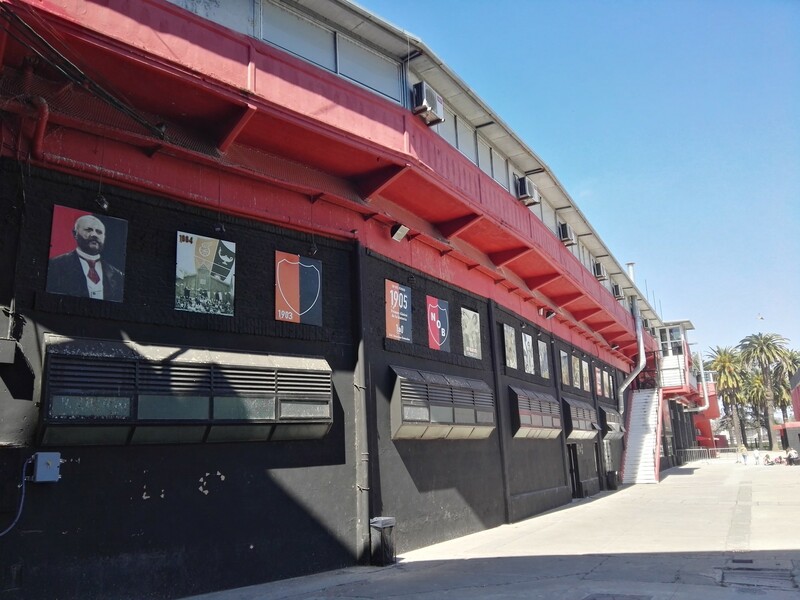 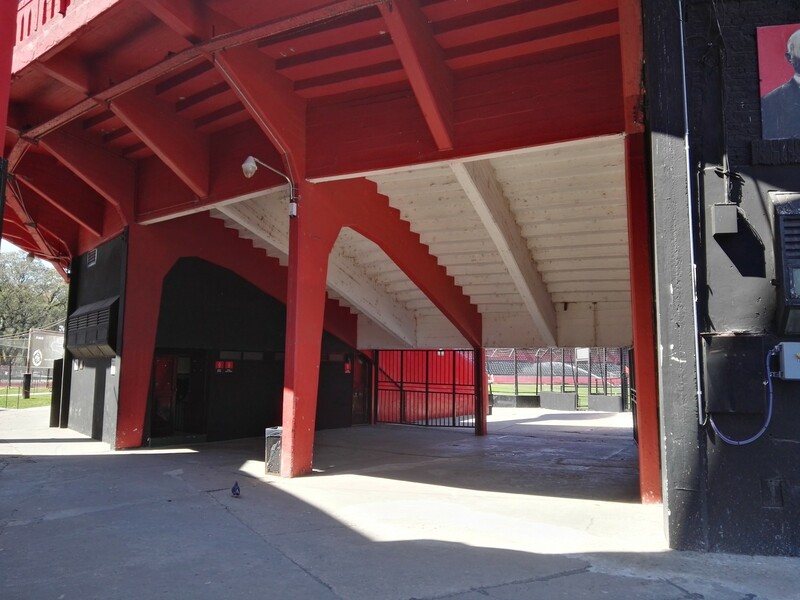 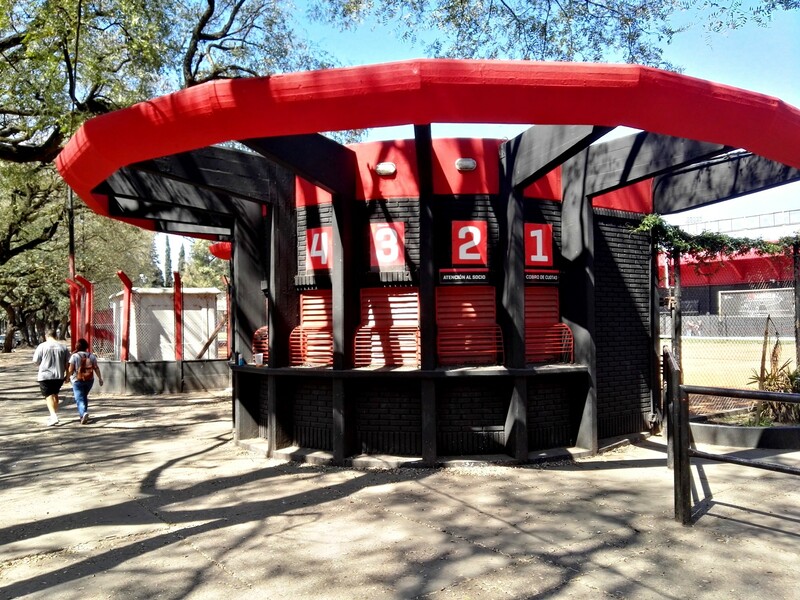 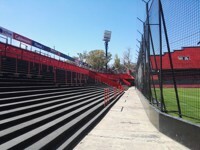 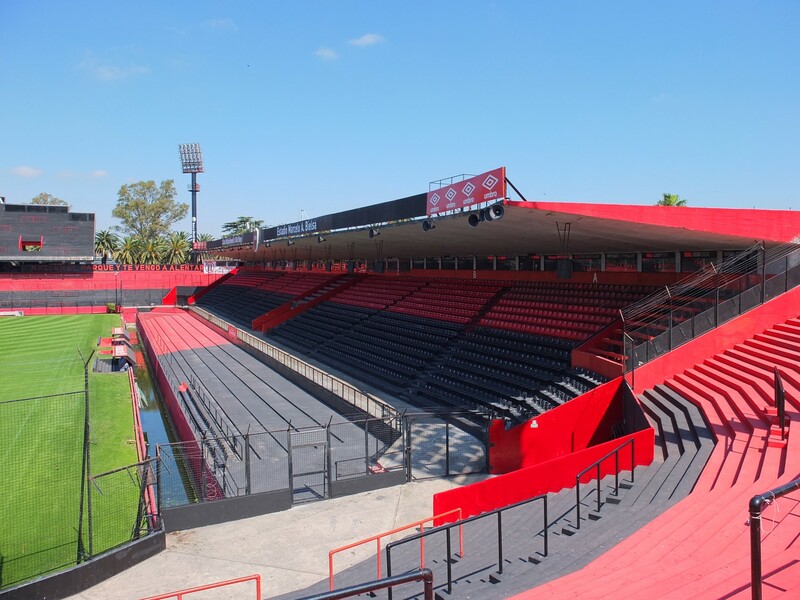 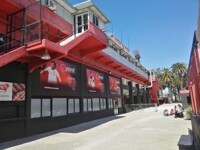 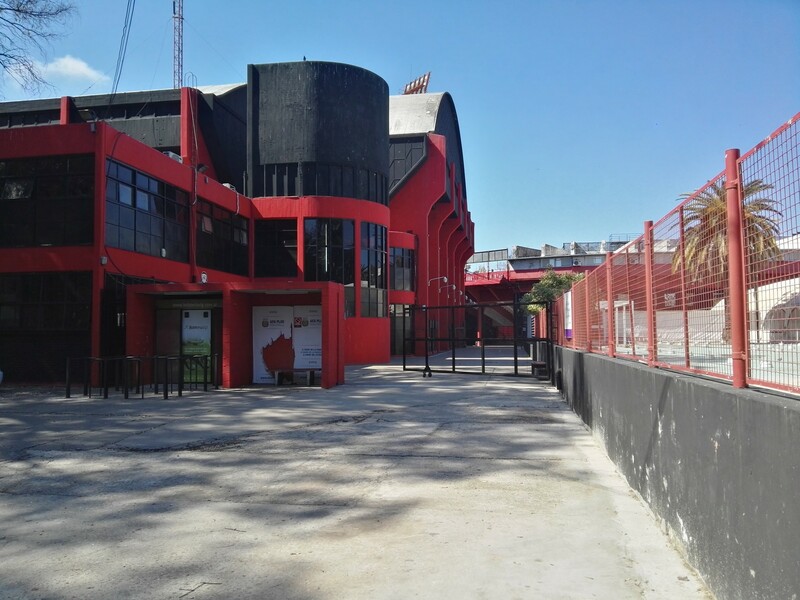 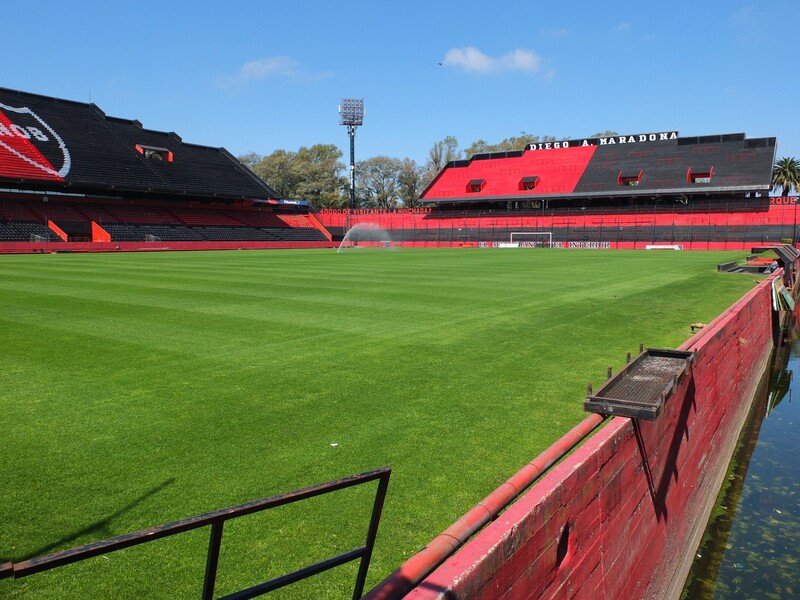 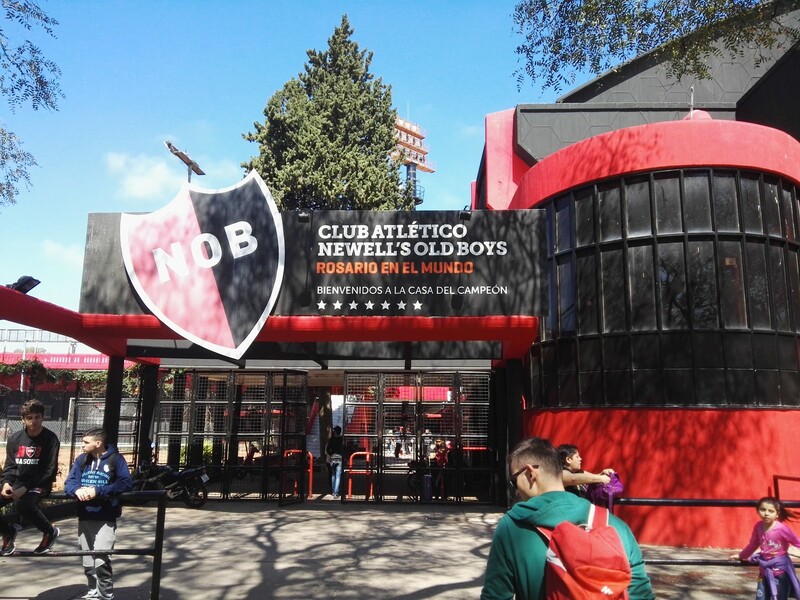 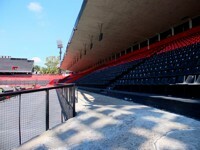 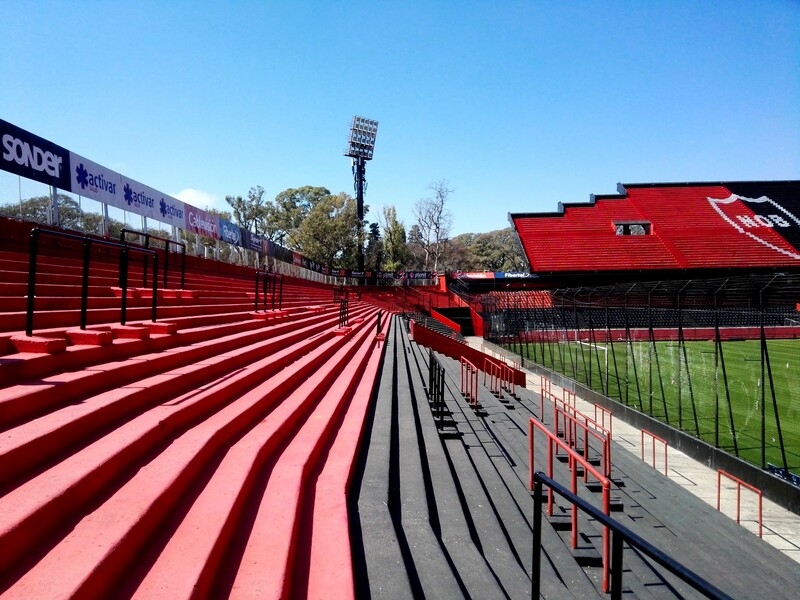 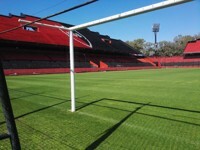 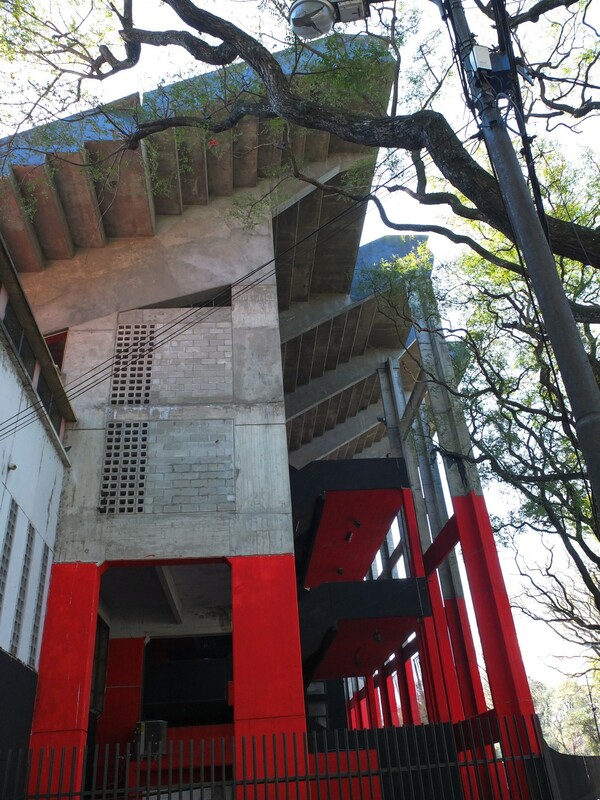 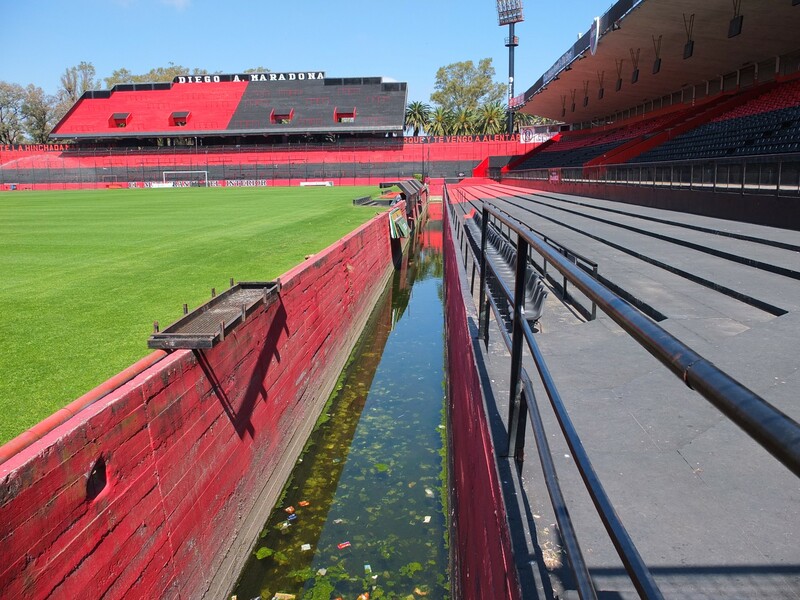 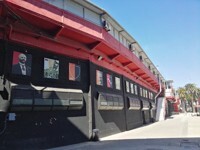 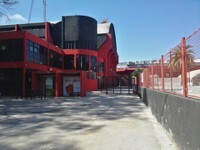 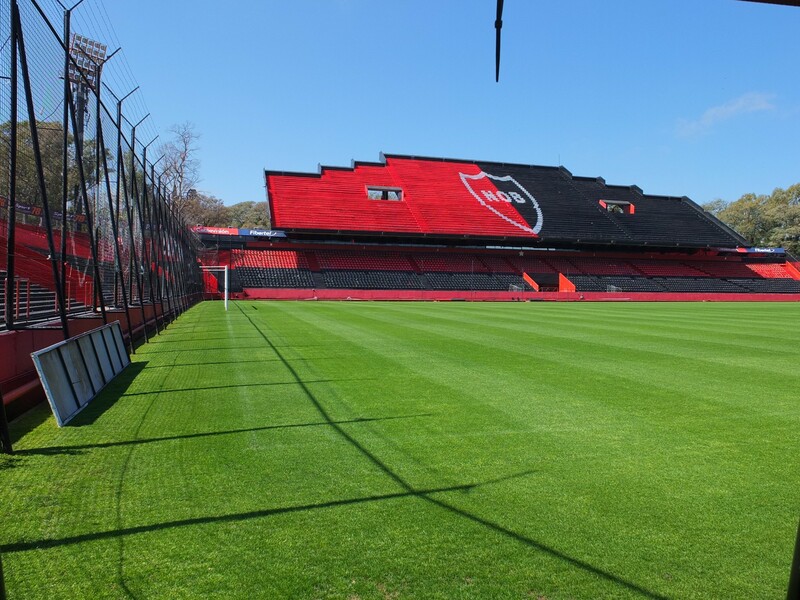 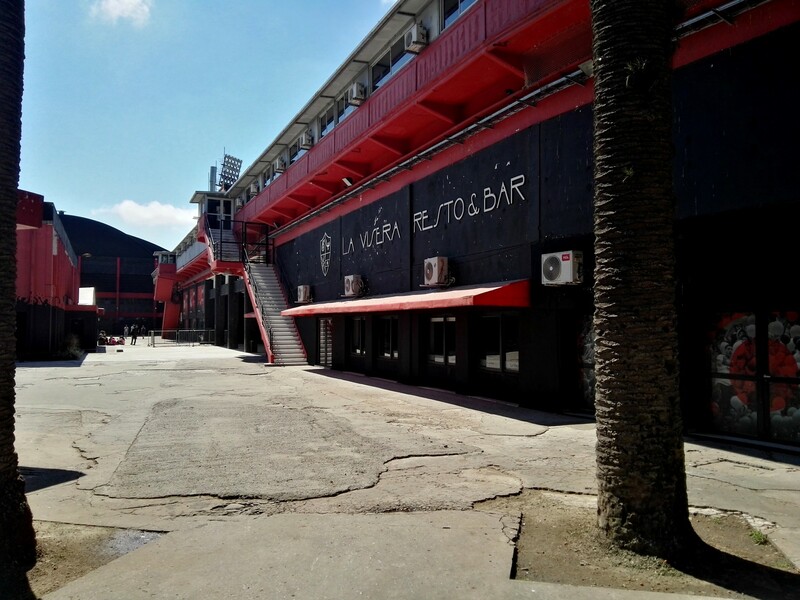 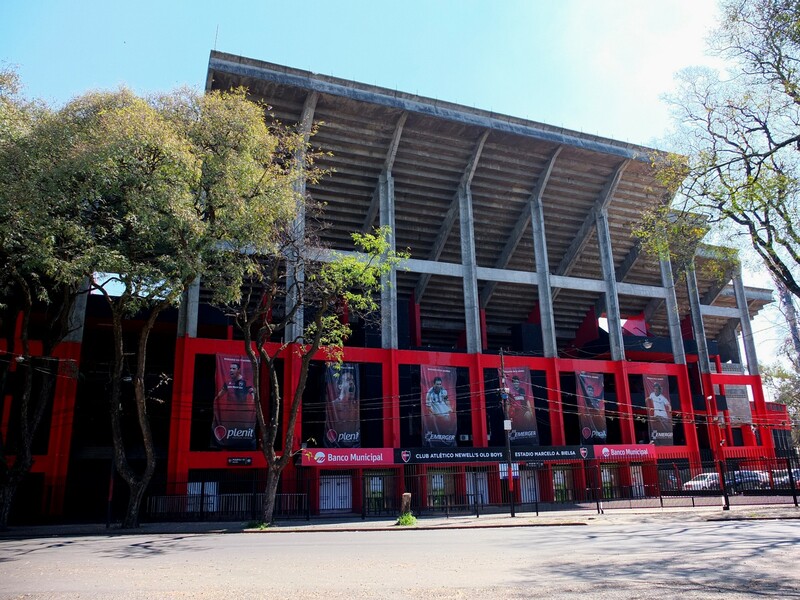 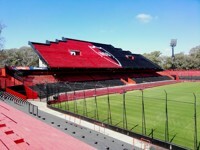 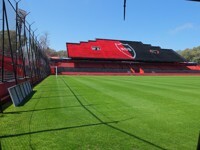 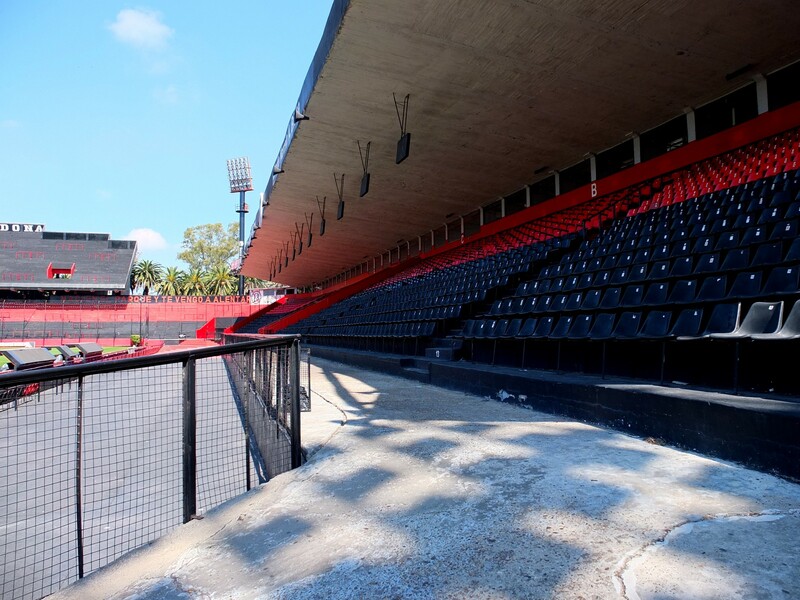 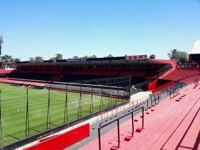 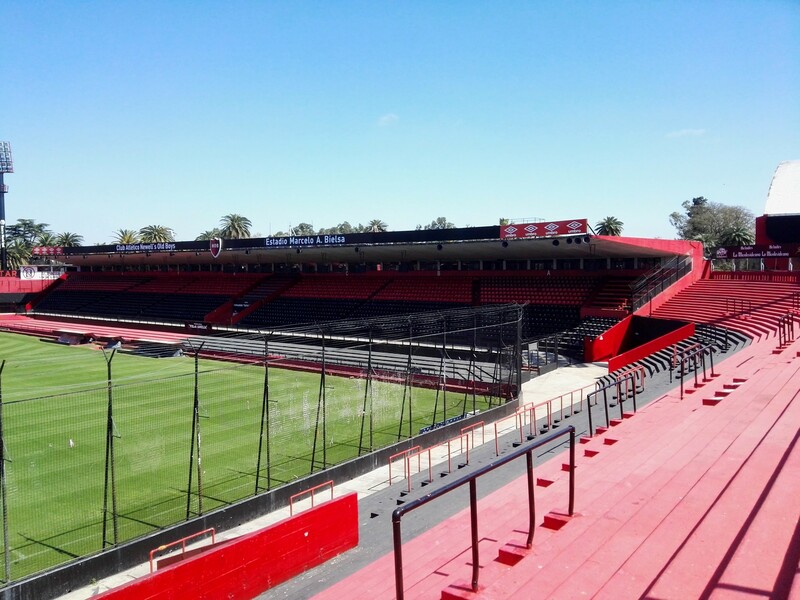 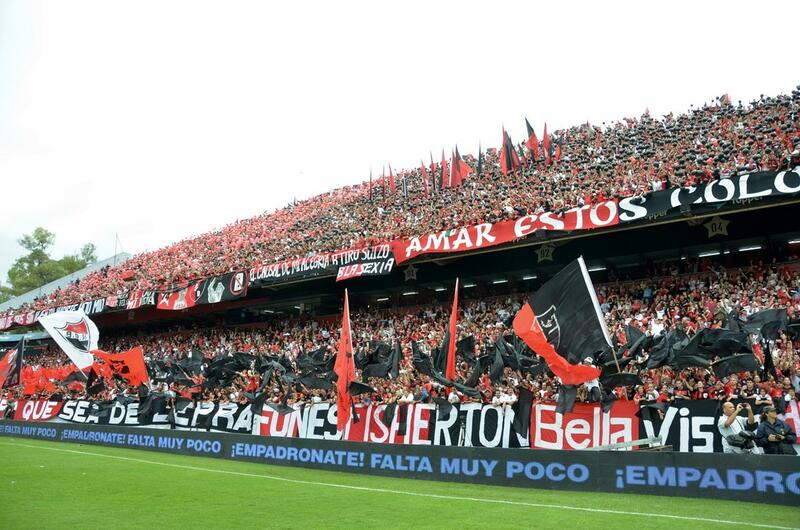 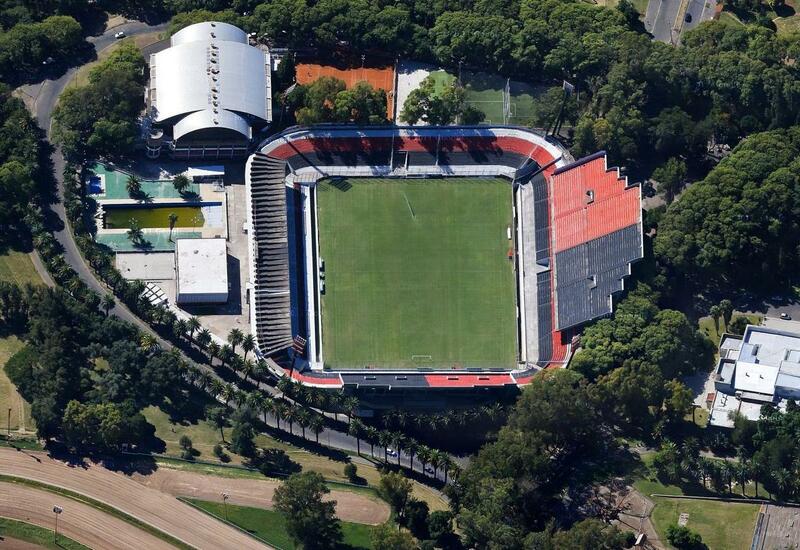 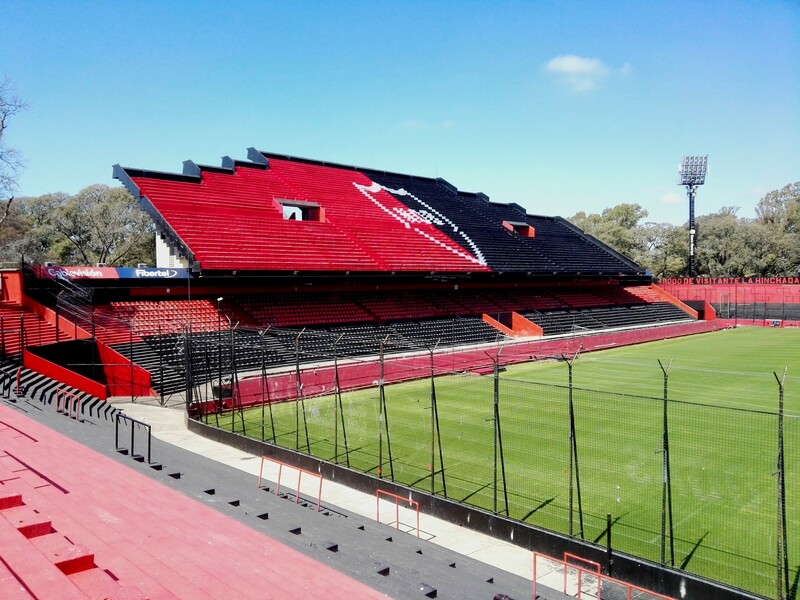 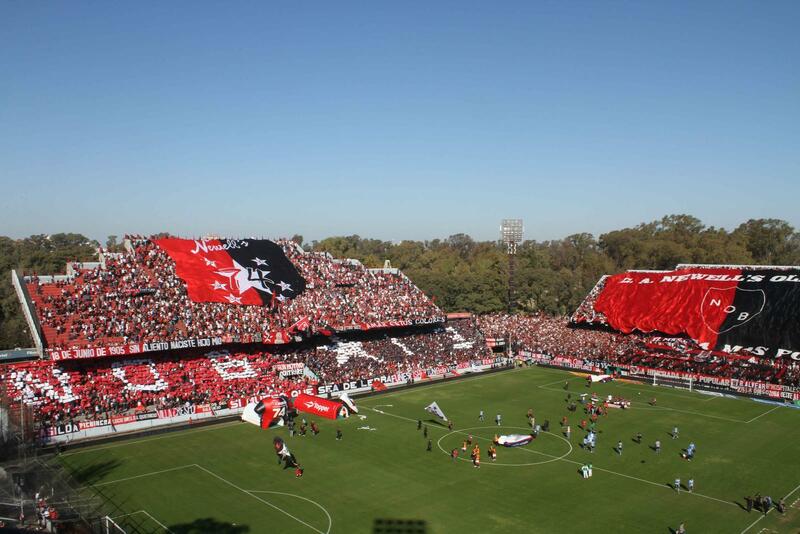 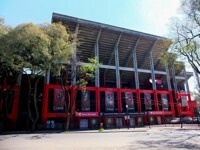 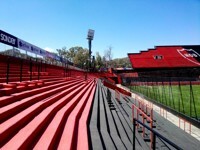 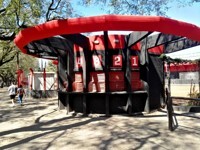 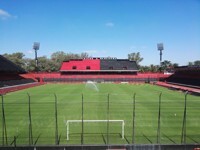 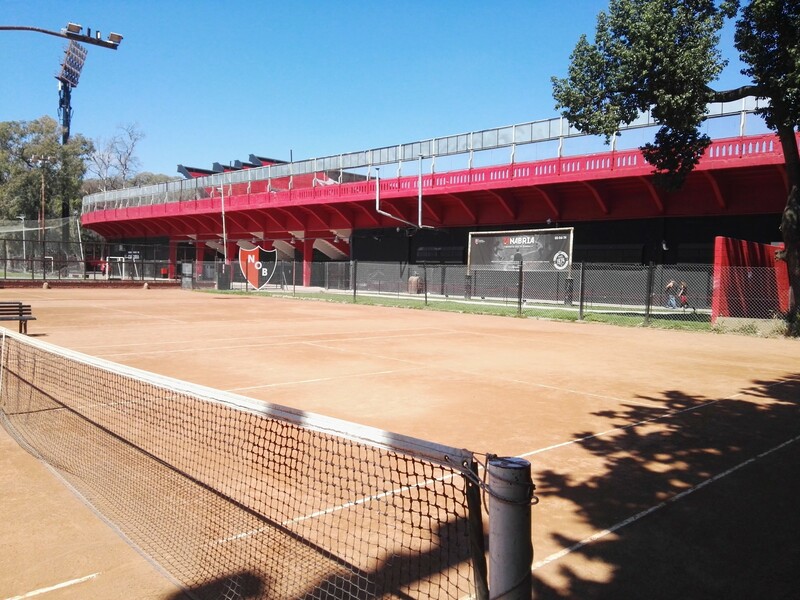 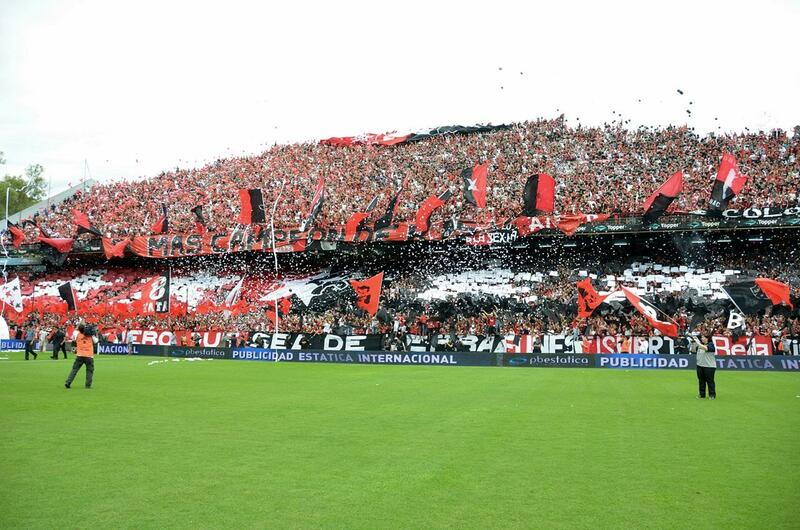 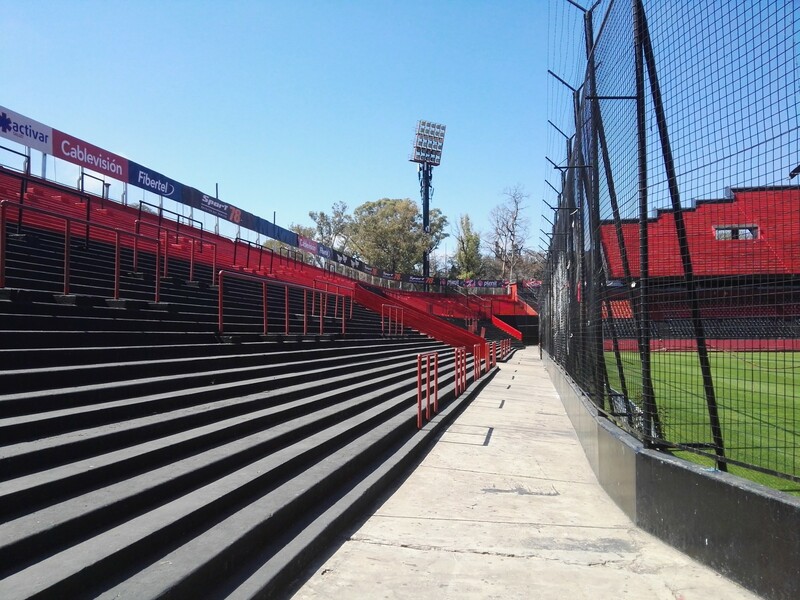 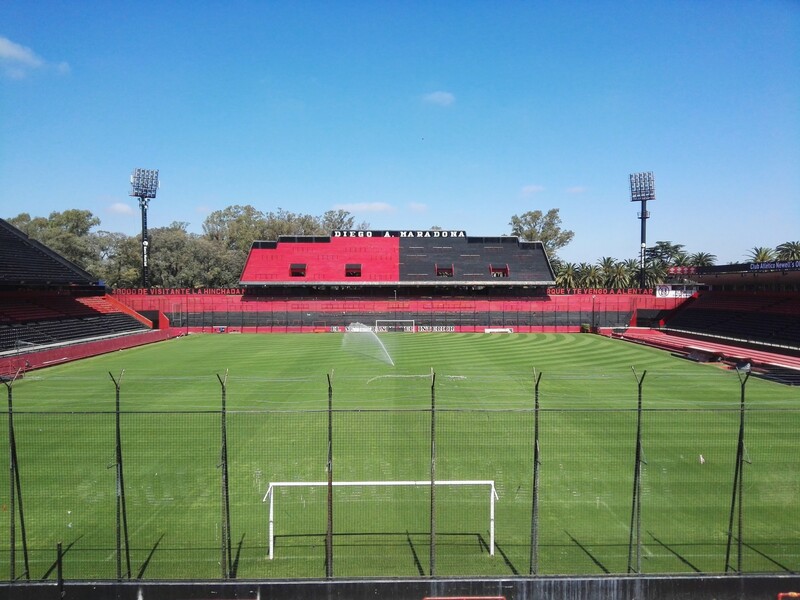 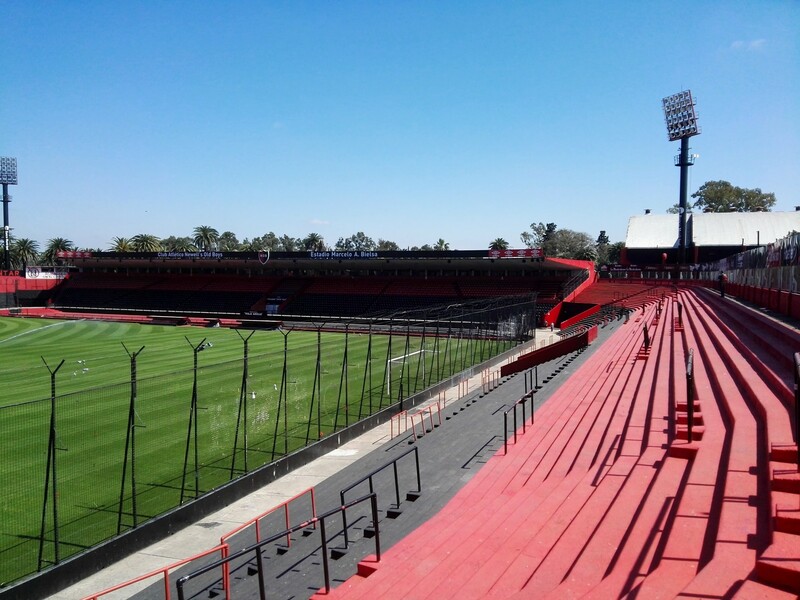 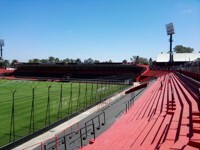 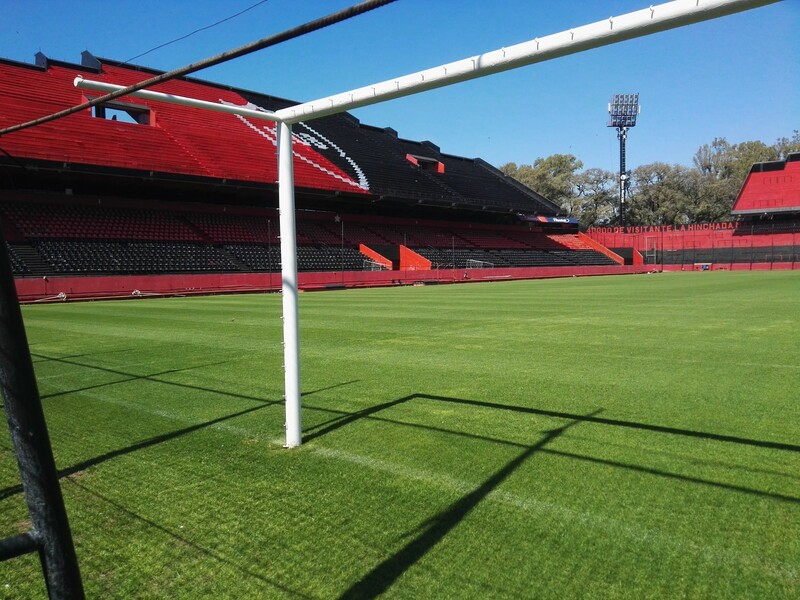 Although it exists since 1911, for Newell's Old Boys this has already been the third stadium. 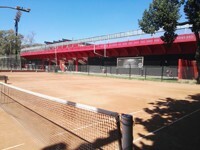 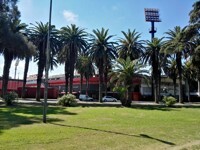 After playing north-east (from 1905) and then west, the team settled here, in the central park of Rosario. 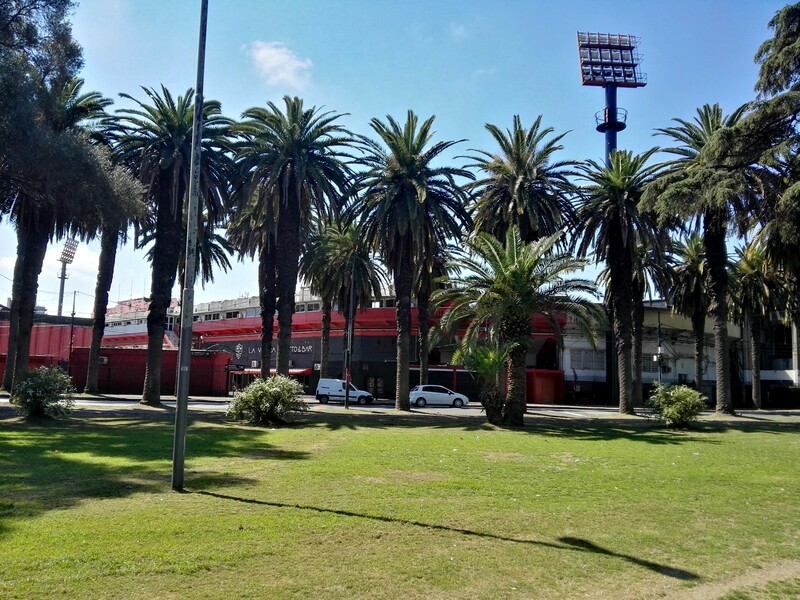 The location right at the heart of the city and in green surroundings earned it the nickname El Coloso del Parque. 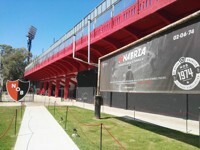 This name is still in use today, even though fans voted in 2009 to honour Marcelo A Bielsa with stadium name. In July 1911 there was room for 7,000 people with one wooden stand. First remodelling in 1918 gave the rise to 10,000, but still with wood and stone as construction materials. 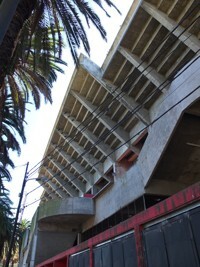 First concrete stand, amazingly still existing today, is the western grandstanf from 1929, also the only covered side. 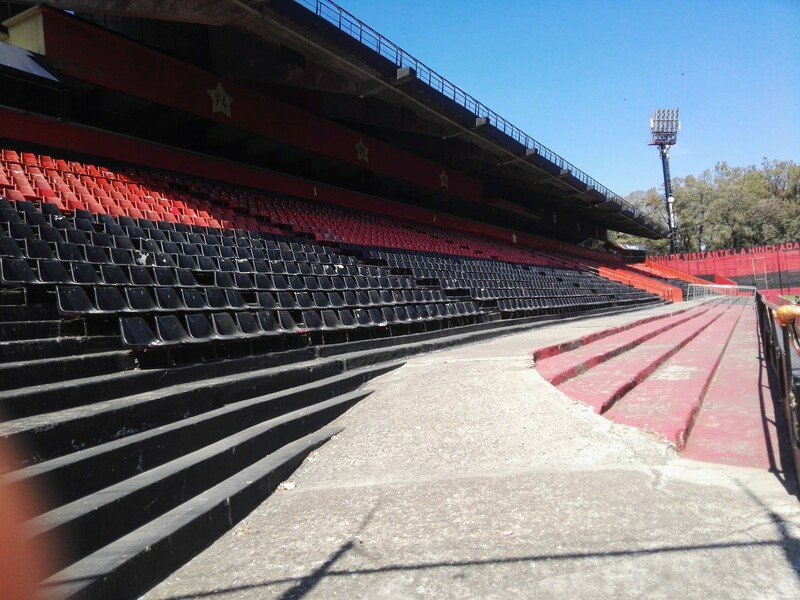 Remaining stands as we know them today were built in phases. 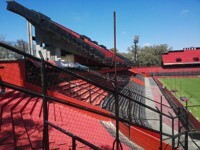 Lower ring of all three sections was created in 1971-1973, while upper decks of the south and east stands were added in 1990s. 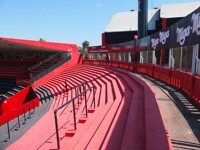 Their distinctive shape became almost iconic, especially with the vibrant supporters occupying both lower and upper tiers of the south stand. Away contingents are allocated in parts of the north end. Apart from club games by NOB, the stadium also played host to youth World Cups in both football (2001) and rugby (2010).